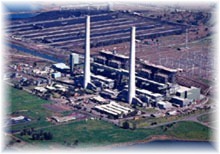 - Overview: Liddell Power Station is a major thermal power plant in NSW owned by Macquarie Generation, Australia's largest electricity producer. It generates 2,000 MW, meeting more than 15% of the state's electricity demand. Because of its safety performance, productivity and high reliability, the National Safety Council of Australia has rated Liddell at maximum 5-Star Safety. - Overview: At the age of approximately 30 years the plant underwent $A 72 million technology upgrade in 2001, to improve operating reliability and performance. Macquarie Generation, Yokogawa Australia and Ralph M Lee concluded an alliance agreement to supply and install the replacement control system at Liddell. The retrofitted unit at Liddell has been running since 2002. The operators have noticed that the control philosophy gives much greater robustness than expected. This robustness is manifested in the ability to maintain loops in automatic control throughout process changes or plant problems. 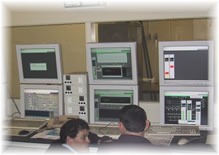 To guarantee the customer a cost-effective solution, Yokogawa's efforts were focused on optimizing the use of existing system equipment. For example, new termination boards were added to existing cabinets and wired to existing field cabling to minimize disturbance. Also, operator interface was smoothly migrated to the new screen-based one with a minimum of hard wired interface remaining. 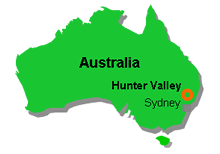 Liddell is a supplier to the the electricity market used in Eastern Australia. This requires the owner to change priorities dependent upon market situation. The alliance structure for this project provides the owner the necessary flexibility in implementation methods and timing. Intelligent alarming reduces alarm traffic by bringing only significant alarms to the operator's notice, reducing operator stress.